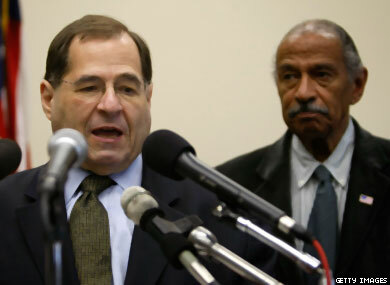 Three congressmen, including New York's Jerrold Nadler (pictured), introduced legislation Wednesday that would extend federal civil rights protections in housing issues to gay and transgender people. The Housing Opportunities Made Equal Act would amend the Fair Housing Act to prohibit discrimination in the sale or rental of housing, the financing of housing, and in brokerage services on the basis of sexual orientation, gender identity, source of income, or marital status. The legislation was introduced by Nadler, the Democratic chair of the judiciary subcommittee on the Constitution, civil rights, and civil liberties; Michigan Democrat John Conyers; and New York Democrat Edolphus Towns.